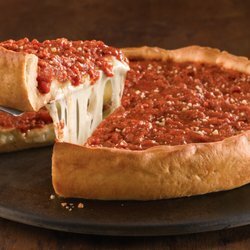 Pioneer of the award-winning famous stuffed and equally-renowned thin-crust pizza. Enjoy a variety of pizzas including cheese, vegi, tropic delight, and shrimp or choose from over 15 ingredients to create your own masterpiece. 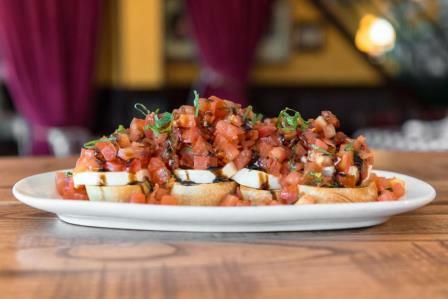 Other menu choices include an array of appetizers, sandwiches, pastas, soups, fresh salads and desserts. Open for lunch and dinner. Dine-in and enjoy a beverage from the full-service bar. Carryout, delivery and catering are also available. 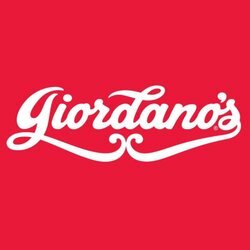 Live too far to enjoy Giordano's, use our mail order system and have the partially cooked, frozen pizza delivered overnight to you. Visit our website for more information.